The lightweight skeletal graphite rotor design cuts out weight in all the right places but doesn't hurt the structural integrity of the reel. The frame is also made of rugged graphite with a quality and sharp looking silver finish on the outside. 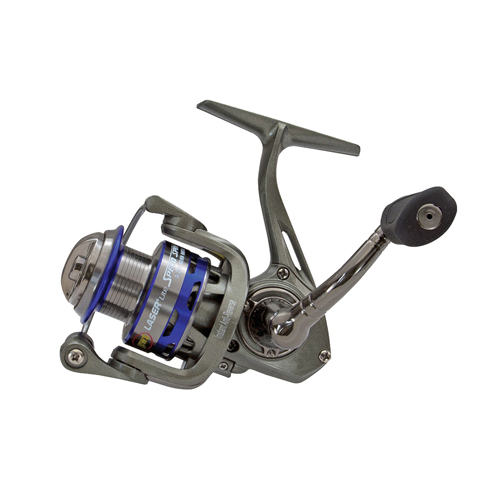 The double anodized ported aluminum spool with blue accents is a nice upgrade and helps reduce weight while giving the reel a classy look. The strong and balanced aluminum bail helps lay the line perfectly on the spool every time. - Inches Per Turn: 23"